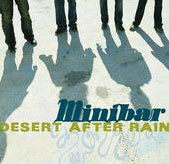 Minibar had a great back story going into their 2001 debut album, Road Movies. British pop band relocates to L.A., signs major label contract, gets produced by T-Bone Burnett, makes a superb album with a $500,000 budget. So why wasn't it huge? Too much hype equals too little attention, and, judging from the title of Minibar's sophomore album, Fly Below the Radar, that lesson wasn't lost on the band. Minibar recorded Radar on a shoestring primarily in their apartment with a variety of producers (including renowned boardsman Dusty Wakeman and Wallflowers's keyboardist Rami Jaffee) and the results outstrip their pricey debut by leaps and bounds. With a West Coast sound that bows to Byrds/Gram Parsons roots ("Martha") and Gin Blossoms branches ("It Is What It Is"), Minibar plays a dusty folk/pop with a visceral quirk factor that just as easily fits the Wilco/Jayhawks broken mold. Nice, nice, very nice.